Campbell & Bissell, PLLC handles contract matters for businesses in the greater Spokane and Coeur d’Alene Region throughout Washington, Idaho, and Montana. The contract is the basic instrument behind every transaction. Whether oral or written, companies enter into contracts daily with every party they encounter in the course of business – employees, customers, vendors, suppliers, manufacturers, distributors, business partners, etc. Having an experienced business attorney prepare or review your contracts at the drafting stage is the surest method of achieving your goals and preventing disputes from arising at a later phase in the relationship. However, given the multitude of transactions and ubiquity of contracts, some amount of disputes are inevitable. Whether you are suing or being sued, you want an attorney with the knowledge and experience to approach the problem and find a creative and effective solution in a timely and cost-efficient manner. Contract disputes often arise because of a disagreement over the interpretation of a particular contract term that was misunderstood by the parties at the time the agreement was entered into. Disputes of this nature can be largely prevented with careful drafting and reviewing at the outset. We use our combined years of experience in business litigation as a backdrop to understand and utilize the best language, terms and provisions to prepare a contract that is clear and enforceable, achieving the goals of the parties while protecting the client’s rights in the event a dispute does arise. Even in the most basic contract, such as the purchase of a good, both parties have rights and obligations under the contract – the seller has the right to receive payment and the obligation to deliver the good, while the buyer has the right to receive the good and the obligation to tender payment. As contracts become more intricate and complicated, the number and nature of rights and obligations increase exponentially. Despite the best draftsmanship, the more detailed a contract becomes, the more opportunities arise for one party to perceive a breach on the part of the other. If a breach cannot be repaired, you want to realize the benefit of the bargain you made, or be placed in the same position you would be in if the contract had been performed. You may have incurred significant expenses or other legal detriments in reliance on the promises made by the other party. It could be that canceling or rescinding the contract is the best option, for instance if a better opportunity has arisen, and another party’s breach of contract entitles you to rescission as a remedy for the breach. Specific performance, i.e. requiring the other party to specifically perform their obligations under the contract, is not a remedy that is normally awarded in court. Sometimes it is granted if the party to the contract or the subject matter is so unique that only this particular actor will do, such as a contract for an artistic work by a particular artist. Breach of a real estate contract may be subject to specific performance, since every piece of land is usually considered to be unique under the law, so you may be able to require a seller to conclude the transaction as a remedy for a breach, rather than seeking monetary damages equal to the benefit you expected to receive from the deal. Even if sued for breach, there may be many reasons why you should not be held liable. It may be provable that a valid contract was never entered into in the first place. For instance, you could have entered into the contract under fraud, duress, or undue influence. There may be some mistake regarding the subject of the contract, so there was never meetings of the minds. Also, some contracts may be so one-sided that their enforcement would be unconscionable in the eyes of the court. These questions can be quite complicated, and a large body of law has grown over the years that dictates what type of evidence can and cannot be presented to the court to determine whether a contract is valid. If you are being sued by another party, keep in mind that not only may you have defenses, but also the other party is generally under a duty to mitigate their loss, or to not make their damages any greater than they need to be. You also may not be responsible for losses which were not foreseeable at the time the contract was made. Finally, the damages demanded by the plaintiff must be reasonably certain, and it is up to the plaintiff to prove that they have properly determined the amount of damages. When we are on the defensive side of business litigation, not only do we raise all possible defenses to avoid liability, but we will also vigorously challenge the plaintiff’s determination of damages. 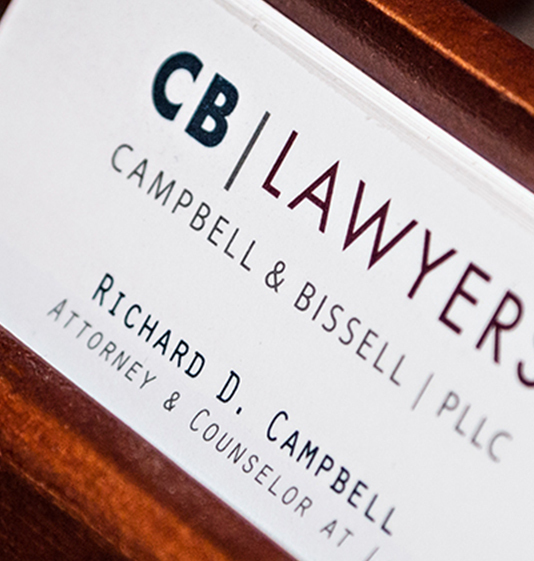 For help drafting, reviewing or modifying an agreement, or prosecuting or defending a breach of contract claim in Washington, Idaho, North Dakota, Alaska or Montana, contact the business law attorneys at Campbell & Bissell, PLLC.